The supplement industry has taken a hit in the consumer-confidence department. Here, experts weigh in on the true causes of the problem and how to address it. 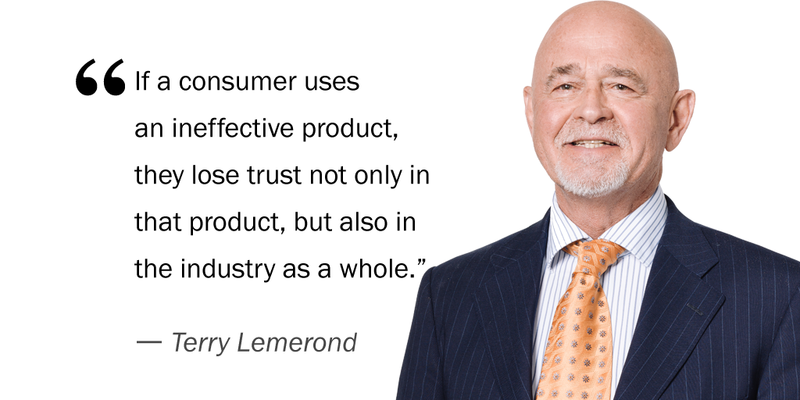 There’s no doubt about it: When it comes to consumer trust, the dietary supplement industry is facing its fair share of challenges. According to a survey by Nutrition Business Journal and New Hope Network, just 39 percent of consumers find supplement manufacturers trustworthy. Only half believe the industry follows strict regulations and, worse, a whopping 59 percent think there could be undisclosed ingredients in their supplements. While it might be tempting to attribute these findings to a lack of information, Alan Lewis, director of special projects at Natural Grocers by Vitamin Cottage, says the real problem is actually an oversaturation of information. “Medical doctors receive a total of just 19 hours of nutrition training during medical school, so one of consumers’ most important sources for personal health information is simply silent on nutrition—or worse, dismissive of it,” he explains. Lewis believes this knowledge gap, in turn, prompts consumers to reach out to all types of places for guidance on supplements, many of which are not credible. The internet, of course, comes to mind. With so much readily accessible info, it can be tricky for consumers to discern the legit from the questionable, fueling confusion and distrust. Cheryl Hughes, owner of The Whole Wheatery in Lancaster, California, also believes today’s dizzying selection of vendors and products is hindering trust. “Supplements are everywhere and every company has its own brand, which makes consumers wonder what’s actually going into these formulations,” she says. But there is a silver lining. When presented with 14 institutions, including the police, the medical system and newspapers, more than 70 percent of survey respondents placed small businesses squarely at the top of the list as the most trustworthy. They also rated the natural and organic food industry highly, with more than half giving it their seal of approval. And consumers are optimistic: 68 percent of respondents think the industry is continuously trying to make products more effective; 66 percent believe the industry is trying to improve quality. Now brands and retailers must live up to their reputation and potential. The most effective trust-building tool in supplement companies’ arsenals is their commitment to quality. Most brands stocked by independent natural retailers are already going above and beyond in this area. At Europharma, for example, raw materials and products undergo a minimum of three levels of testing before supplements ever reach the shelf. Its curcumin ingredient has 30 published studies at its back. And if ever a customer still isn’t satisfied, Europharma makes good on its money-back guarantee on all products. Brams believes this kind of commitment to quality has to be the baseline—a jumping-off point rather than an end point. To engender unwavering trust, manufacturers must take every baseline standard and elevate it. At Garden of Life, this means upping the purity baseline by investing heavily in third-party certifications such as USDA Organic, Non-GMO Project Verified and B Corp. “This is a really important strategy for this channel,” Brams says, because it establishes trust by offering specialty customers the truly specialty products they want. For instance, not just a protein powder but a USDA Organic protein powder. A side benefit of this is that, as more third-party seals pop up in the independent market, “you start to bridge that consumer crisis we’re experiencing because now they’re educated about third-party testing and auditing,” Brams adds. Generating trust through transparency is a common call in the supplement industry, and it’s a worthwhile baseline. The Council for Responsible Nutrition intends to debut its Supplement Online Wellness Library this year, which will make transparency simpler for brands by allowing them to register with label information and additional certifications and documentation. “That’s the cornerstone of a good regulatory paradigm—knowing what’s on the market and what’s in each product,” says Duffy MacKay, CRN’s senior vice president of scientific and regulatory affairs. But even MacKay admits this is just the start. “Transparency does not equate to goodness; it equates to not hiding,” Brams says. “Transparency is the invitation to the party, but it’s not the party.” The party, he argues, is traceability. That’s why quality brands must take transparency to new heights with cutting-edge initiatives. Many independent natural products retailers already do a lot to foster trust. Knowledgeable staffs, educational seminars, in-store demos, informative shelf-talkers and signage, and community partnerships are cornerstones of this industry and enable retailers to remain solid sources of education for their core base. But in order to gain even more confidence—and attract customers from beyond that core—they need to step up every one of their initiatives. Here’s how. At Terry Naturally, Lemerond amplifies the impact of in-store events and lectures by uploading them to YouTube so the entire community can access the information. Up the educational ante. Hosting a panel or a nutritionist talk is a great idea, but education can be even more impactful when you make it entertaining. Natural Grocers recently partnered with hip-hop artist DJ Cavem to host “culinary concerts” at local schools and in-store. Lewis says the events—part concert, part cooking demonstration—target kids in order to drive purchases. Certify and beautify. It’s true that quality sets independent natural retailers apart from big-box stores, but if you can communicate that quality without saying a word, you’ll really instill confidence. For example, Cambridge Naturals has become a certified B Corp, which demonstrates that the store goes above and beyond with its commitment to quality and socially and environmentally friendly business practices. Supplements spotlight: Which categories—and consumers—drove sales in 2015?